This week, a variety of events will be offered to help the wider Rochester community learn about the Rochester Deaf community's language and culture. The goal of Rochester Deaf Awareness Week — which kicked off on Sunday, September 14, and continues through Saturday, September 20 — is to raise awareness, empower, promote understanding, and celebrate deaf people and their unique language and culture. 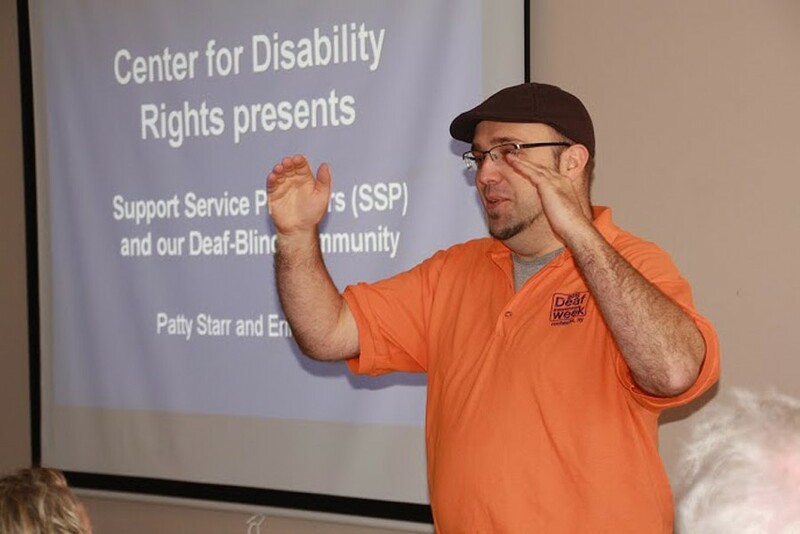 On "Government Day," Wednesday, September 17, workshops and ASL lessons will take place 10 a.m. to 7 p.m. at Regional Center for Independent Living (497 State Street). Thursday is designated "Business and Technology Day," with workshops, ASL lessons, and a pizza and ice cream social offered 1 to 9 p.m. at RRCD (1564 Lyell Avenue). Friday, "Deaf-Blind Awareness Day," workshops, a film and panel discussion, and social hour will take place 10 a.m. to 5 p.m. at NTID (52 Lomb Memorial Drive, RIT campus, SCD 1300 & 1310). Saturday, September 20, will feature the Dummy Hoy Classics Baseball Game, 10 a.m. to 3 p.m., at Genesee Country Village and Museum Silver Baseball Park (1410 Flint Hill Rd., Mumford), and a dinner held 5 to 7 p.m., followed by a performance of Branton's Misinterpreted World, 7 to 8 p.m., both at Rochester School for the Deaf (1545 St. Paul Street). Interpreters will be provided. Please note some events/performances require a RSVP and may have an associated cost. More details about planned events and activities can be found at rdaw.org.